Lily discovered yoga back in the early 1970's. She has been a lifetime student of all that is spiritual, mystical and metaphysical. In 2009 she completed the 200 hour program at the Yoga Connection under the direction of Priscilla Potter. 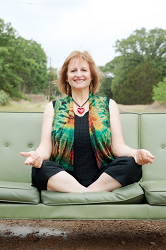 Soon after she discovered iRest® Yoga Nidra which changed her life. With the trainings and guidance of Richard Miller PhD and Joan Ruvinsky she attained certification as a iRest® teacher. She also trained with the Warriors at Ease program. There is nothing she would rather teach and share then the powerful and profound practice of iRest®.